Are you passing out too much urine too frequently? Watch out for you may be suffering from Diuresis. Read on to know all about Diuresis definition, its causes, symptoms and treatment. Diuresis refers to a rise in urine production by the kidneys. A person affected with Diuresis loses a great amount of water along with essential mineral salts through excessive urination. Diuresis is pronounced as dī′yū-rē′sis. What does Diuresis mean? The word actually comes from two Greek terms “dia” meaning “through” and “ouron” standing for urine. Conjoined, the term means increase of water through urine overproduction. It is a condition where certain substances accumulate in the tubules of the kidneys. This impacts the re-absorption of water and leads to a rise in water level in the bloodstream. This results in increased urine production in the kidneys. This condition affects patients recovering from kidney failure. In people making gradual recovery from renal failure, there is sometimes a sudden rise in urine output. This is known as Rebound Diuresis. This occurs when there is a drop in body temperature and a rise in blood pressure, as happens when it is immersed in water. When most of the body is immersed in water, part of the body heat is lost in the water and the body squeezes the blood vessels to prevent heat loss thereby raising the blood pressure. This results in increased urine output. The condition also results from prolonged exposure to cold. This condition is characterized by increased urine output when a urinary blockage is removed. The accumulated urine flows out as a result and causes Post Obstructive Diuresis. It is common in patients suffering from urinary tract infections such as nephrolithiasis, prostate hypertrophy and kidney infections. Patients with this syndrome commonly suffer from an enhanced urine production. The person passes too much urine too frequently. Diuresis patients can suffer from a little discomfort in the genital region. This happens due to a urinating sensation. Diuresis often results from Polydipsia. Hence, Diuresis patients are often found to suffer from increased thirst. Frequent urination leads to loss of fluids and essential salts and minerals from the body. In Osmotic Diuresis sodium is lost through urine. This can cause tiredness in sufferers. In Diuresis patients, urinary sensation increases and the person has the urge to urinate frequently. This can affect sleep as the sufferer feels compelled to urinate because of large urine volume. 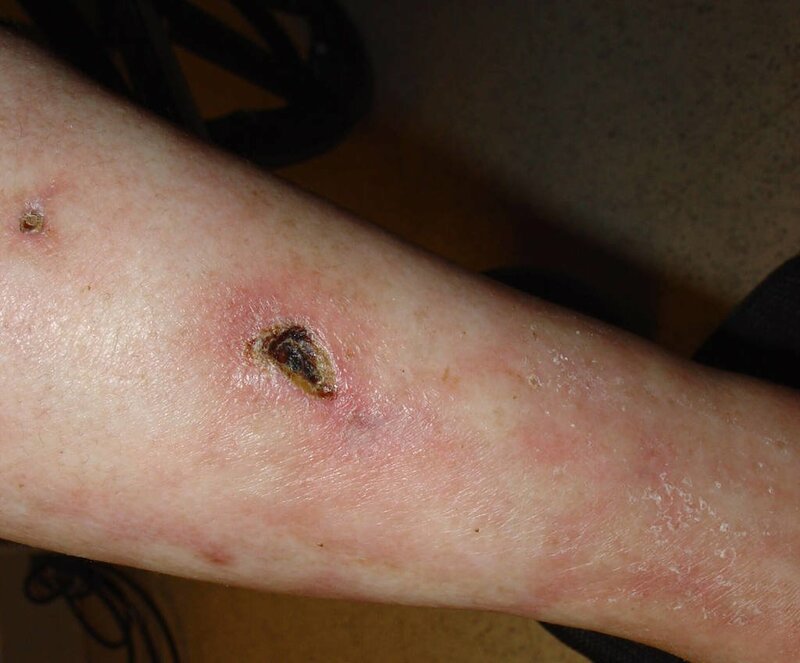 This disease is marked by unusually high calcium level in bloodstream. It can give rise to excessive urine production. In cases of Osmotic Diuresis Hyperglycemia is the causative condition. Diuresis can often arise as a result of complicated health conditions such as heart failure. As aforementioned, Diuresis is often seen in patients suffering from kidney failure. Impaired kidney function leads to a build-up of fluids and wastes inside the body thereby leading to Diuresis. 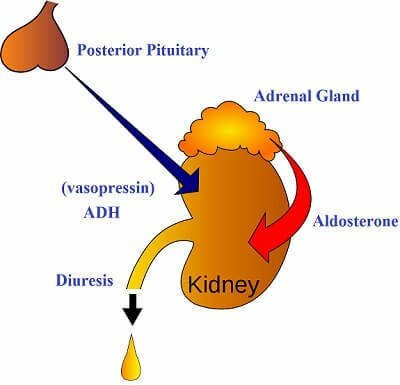 Diuresis in renal failure patients is often a welcome sign as it shows an improvement in kidney function. In Diuresis medications are often a cause, though an intentional one. In patients of congestive heart failure, hypertension and kidney disorders, it is necessary to eliminate water from the body. Diuretic pills like Chlorothiazide, Bumetanide and Amiloride can help in elimination of excess water from the body by raising urine output. Medicines like Mannitol act as one of the major osmotic Diuresis causes. Certain foods and drinks are also responsible for Diuresis. Cranberry juice, Juniper berries and Parsley increase the amount of fluid in the urine naturally. Having more of these foods and drinks can raise urine production in the body. In people with Osmotic Diuresis glucose increase is one of the main causes. High blood sugar in bloodstream is also known as Hyperglycemia. As aforesaid, obstruction or blockage in the kidney can lead to accumulation of substances in it. This can lead to Osmotic Diuresis. Diuresis can also result from Polydipsia. Polydipsia patients suffer from increased thirst and drink too much water. This results in increased urine output. Diuresis in Diabetes Insipidus patients is quite common. In people with Diuresis Diabetes Insipidus causes an excessive urine production and abnormal urine concentration. Patients of Diuresis with Diabetes Insipidus need close monitoring. Diuresis in Diabetes Mellitus is seen due to overproduction of urine. Diabetes Mellitus leads to a rise in glucose level in the bloodstream thereby raising osmotic pressure and reducing water reabsorption by the kidney. This results in excess urine. The treatment of Diuresis actually depends on correctly diagnosing the condition and finding a cure for it. Accurate treatment of Diuresis can help restore normalcy in urine production. Diuresis is mainly cured with the help of anti-diuretic drugs along with medicines for treating the causative condition. In patients with Post Obstructive Diuresis the urine output needs to be closely monitored. Excessive urination can bring on Hypokalemia and severe volume contraction in patients. If the fluid balance drops too low, fluids should be immediately passed into the body of sufferers. This will prevent volume contraction. In cases of post obstructive Diuresis treatment mainly consists of maintaining fluid balance. Diuresis, especially Post Obstructive cases, usually resolves after a few days. In some cases, they can last up to a week and then go away. Pregnancy gives rise to a number of physiological abnormalities including high blood pressure. To avoid this, women were prescribed diuretic pills in the 1960s. However, this was seen to lead to nausea, vomiting, premature deliveries and also miscarriages in some cases. Naturally, pregnant women are not advised to take diuretic pills. It is best to use pills to promote Diuresis after pregnancy. If you or anyone in your family is exhibiting Diuresis symptoms, it is advisable that you go for an early treatment. Seeking early medication can help in a faster diagnosis and quicker recovery from the condition. It will also help avoid a lot of health complications in future. My wife (45 yrs) is suffering (for more than 5-6 years) from excessive urination. She feels the need to urinate too frequently, sometimes as much as after every 1-2 hours. Consultations with Urologists did not help. The symptoms are tiredness, drying of skin, and swelling of the overall body. She drinks less water due to fear of excessive urination. Many times we have done Thyroid test which comes normal), blood sugar also normal, urine testing which also comes to normal. She had abnormally high BP during pregnancy which after the delivery (almost 15 years ago) always came near to normal, not much variation whenever checked.